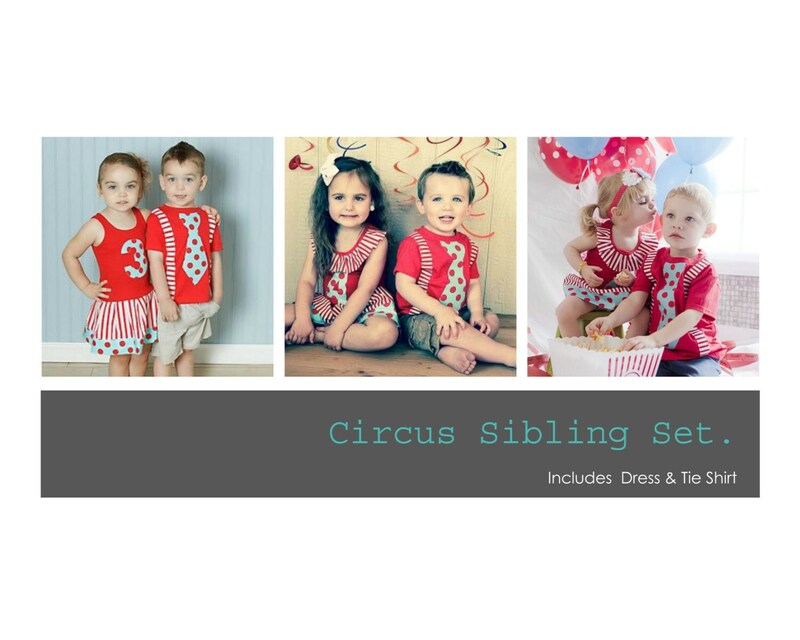 Circus Sibling Set. Carnival dress, Carnival shirt. Includes dress and Shirt. This listing includes the dress AND tie shirt. Perfect for twins or siblings. Please read entire listing. Tank Style Dresses run very true to size. The tanks are ribbed so they will stretch or conform to the shape of your child. Sizes available. 6mo, 12mo, 18mo, 24mo, 3T, 4T, 5/6, 6x, 7/8. Dress includes initial or number applique on chest. Boys tshirts RUN SMALL!!!!! Please order up a size. Sizes available. 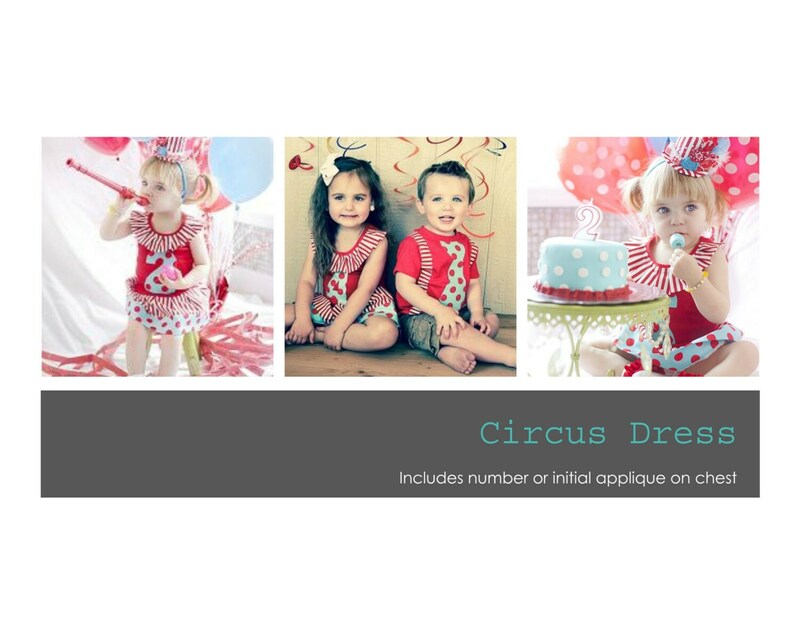 12mo, 2t, 3t, 4t, 5/6, 7/8, youth M (10/12) example: if your child is in a 2T, he needs our 3T.